PRICED REDUCED ON 4/4/2011. Original owner who has taken great care of this boat. Nice electronics package added and well maintained...owner looking to move up to a larger diesel cabin boat and would like to trade up...baby blue hull with good running engines that have also been maintained...a must see!! Original owner who has taken great care of this boat. 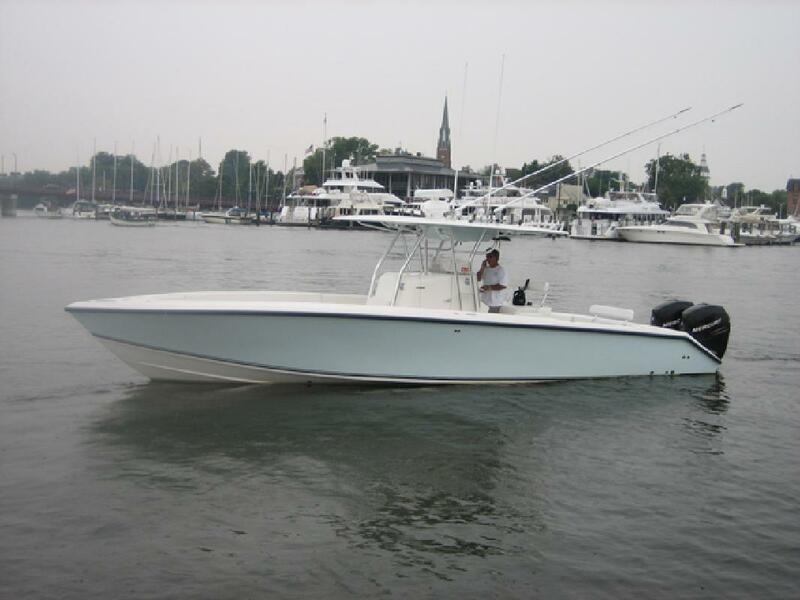 Nice electronics package added and well maintained...owner looking to move up to a larger diesel cabin boat and would like to trade up...baby blue hull with good running engines that have also been maintained...a must see! !